NCS sells the compact HP Jet Fusion 580/380 Color and HP Jet Fusion 4200 Printing Solution for industrial prototyping and final part production. HP is the innovation leader in this space, and it's technology makes it possible to create complex 3D prototypes in a relatively effortless manner. The use of 3D printing is revolutionizing key aspects of industrial manufacturing by speeding up time-to-market production. In addition to speed, some parts may also be manufactured at lower cost. The combination of easy prototyping capabilities, speed, high quality and attractive pricing all increase business flexibility. The company is well known for its NCS Service, which include system integration, configuration, packaging, installation, and product warranty support capabilities. 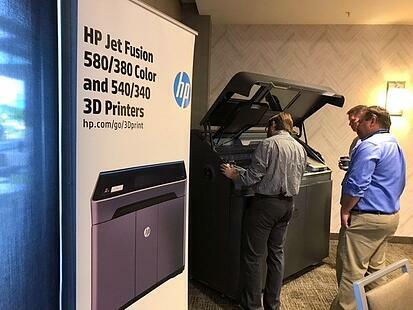 NCS is an authorized HP reseller delivering training support services and applications expertise to maximize 3D printer performance, throughput, part quality and yield. Contact us about HP 3D Printing solutions today.